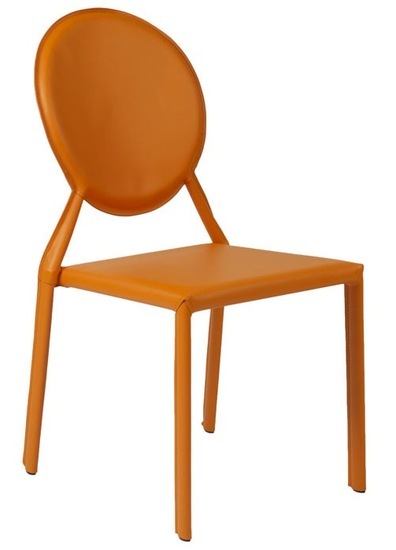 Isabella leather Side Chair By Eurostyle is chic and stylish. The perfect addition to your dining space, Isabella Leather Side Chair By Eurostyle provides a comfortable round backrest and a charming, classic look. 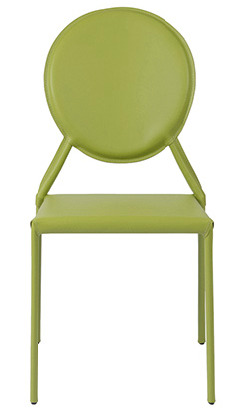 This modern side chair features a seat, back, and legs covered completely in leather. -- Please Choose an Option --	19"W x 22"D x 36.5"H: Seat Height - 18"